Sophie Turner is an English actress. Turner made her professional acting debut as Sansa Stark on the HBO fantasy television series Game of Thrones (2011–present), which brought her international recognition. 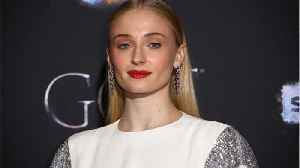 Sophie Turner says her role as a conflicted Jean Grey in this summer's new X-Men movie "Dark Phoenix" is "on a different level" from any character she's played before -- including the much-tormented..
Sophie Turner "used to think about suicide" during the early days of her 'Game of Thrones' fame. The 23-year-old actress stars as Sansa Stark in the HBO fantasy drama and went through her much of.. According to Huffington Post, Game of Thrones star Sophie Turner has suffers from depression and social media scrutiny. On Tuesday, the 23-year-old actress appeared on the “Phil in the Blanks”.. The cast of Game of Thrones recalls their favorite memories from working on the international hit television series ahead of the final season. Rough cut (no reporter narration). Emilia Clarke, Sophie Turner and their castmates turned heads on the red carpet for the final Game Of Thrones season premiere. Stars of HBO's worldwide smash hit gathered at New York's Radio City Music..